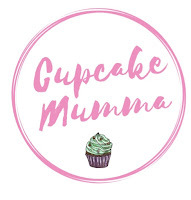 Cupcake Mumma: Day 4/31 What Are You Afraid Of? Day 4/31 What Are You Afraid Of? Death- I don't like how you just never know when your time is or when time of those you love is up. If you know someone is dying I think to some degree you almost come to terms slightly with the whole thing but it's when people are just gone it's hard to imagine how I would cope. I also fear being forgotten and never visited, after all, one day I will be forgotten! Aeroplanes- I have a rather irrational fear of planes and I am 100% certain that when I set foot on one that will be it for me. Drowning- I hate not being able to breathe and when someone on the news has died this way I have this awful feeling inside I cannot describe. The thought of being desperate for air scares the living hell out of me. Speaking in front of people- Nothing will bring on anxiety and panic attacks like being told I have to give a presentation. I spent most of my time in school from 14 upwards bunking off a lesson if I knew I had to do a speech in front of the class. Spiders and wasps- I'm a little scared of spiders, it takes a lot of courage to move one with a glass if Other Half isn't here. Wasps and bees are a different matter, especially wasps though. I turn into some pathetic wreck like a child and if the wasp doesn't leave then yes, I'll cry. It's a very real fear and I'd be glad to never see a wasp again in my life! Don't think that'll happen though I'm afraid. The Sea. Hate it. I won't swim in it and I'm terrified of my children one day going in it. The sea is unpredictable and if it turns you may never see that person again. I hate the sea but I love to look at it. Finally, Drain Covers- I have a hideous fear of these things and won't stand on them nor let my kids stand on them. It's rare to fall in one but the thought of going down and not getting up again (enter fear of drowning here) is bloody awful I've even had nightmares about it. There you go a bit of a totally over-the-top list of fears for you! Actually, I had not thought of some of these, like the drain covers. I won't stand on them either! Now, speaking in front of people, I could talk to a crowd of 10,000. LOVE to give speeches and presentations! Isn't it funny that way?? Drain covers creep me out too. I avoid them all the time. You just never know... Thanks for sharing! I never, ever walk on drain covers! I never thought of it as a fear so much as just being practical -- LOL. I have spiders on my post for the Blog Challenge though, and public speaking too! Gosh how lucky is that! But how awful. I hope your impending flight goes well im afraid its one thing i will NEVER do!